I made some great observations with a buddy on the river the other day. We watched a guy come down and fish a popular run....... and fish it completely wrong. He started too high in the run, cast at way too steep of an angle and then did not cover the lower end......where all the fish are. Could he have caught a fish? Sure! Are his odds as good as someone that knows the run? Not even close! If you have maybe one or two chances at a fish a day, covering a lot of water and fishing each piece efficiently and effectively are the keys to success. Learn the river, sit down and watch a pool before you fish it. Have a plan when you start the pool and stick to it. It made me realize once again that the North Umpqua is so unique, so varied, so difficult to fish consistently and properly that it takes a lifetime to learn and it will never be mastered. I feel like I am still in middle school at times as far as my education on the river. Every once in awhile I get taken back to kindergarten, like recently when I swam coming out of a difficult wade. Never let your guard down! Cast angle matters, position in the pool matters, mending or not mending at key times matters, water level matters, and on and on. Every run is different and must be approached differently. After many years now on the river, one thing is clear. The river remains as challenging for me to fish as it did the first time I stepped in it. 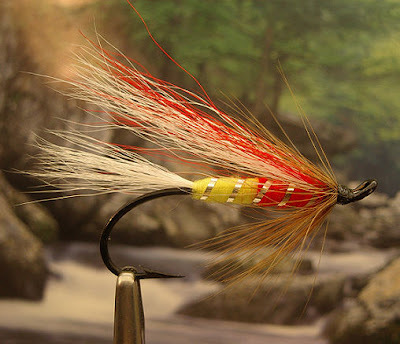 I do know a bit more about how to fish the runs but I still discover new ways to deliver the fly more efficiently to the holding lies. I learn more every day about how fish take a fly and the when and why of it all. Did you offer the person some advise or do like a lot of guys who think they know the river well and keep secrets to themselfs. We all were newbies on this river at one time and wished someone, anyone would help with even one hole on how far to fish down or angle or to even reassure them that there fly is right size or color . I've fished the n.u. off and on for 40 plus years and hook and catch to hand many steelhead every summer so I know how frustrating it is to learn the bucket. But if I see someone fishing it wrong I give them a small token of advice of to fish lower then its up to them if they use that advice or not. By not helping a newbie is a form of greed as in thinking I'm not helping him cause he might hook fish that I could hook because he didn't fish far enough down the run.I know many many fly guys on n.u.that won't at all help anybody because of greed. Greed is what is killing this river. Treat your brother the way you want to be treated. Love your neighbor as you love yourself. I'm not saying give all your hard earned knolegde away ,just a tidbit to a n.u. newbie goes n along way.